This mod is licensed as Creative Commons BY-NC-SA 4.0. If you want to use/share/change portions, or the entire content of this mod, please read the license and follow its instructions. Always add a link to the mod page on the Nexus forum. LfSS is back, now including all silver swords of the game! 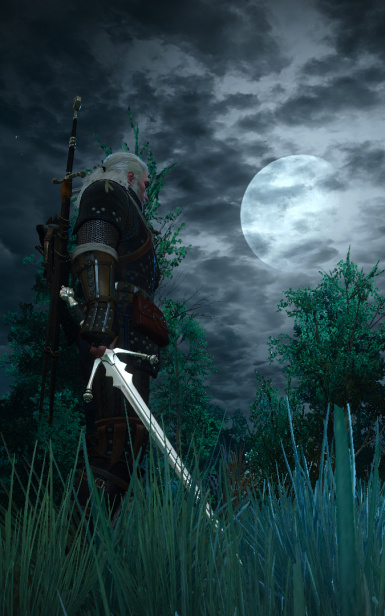 The books of Andrzej Sapkowski describe silver swords as very special and unique weapons. 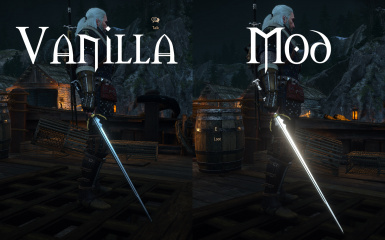 This mod aims to account for this by enhancing the optical appearance of silver swords, clearly destinguishing them from steel swords. This mod alters the optics of silver swords to resemble the optical features of real silver like a chrome shine and partially golden reflections. The mod does not change the optical effects of runes. If you update from a previous version of this mod, please delete the folders "modSilverShines" and/or "modFeelTheSteel" from your mod directory! If this folder does not exist, simply create it. Compatible with any number of expansions/DLC. The mod only applies to the files actually installed. 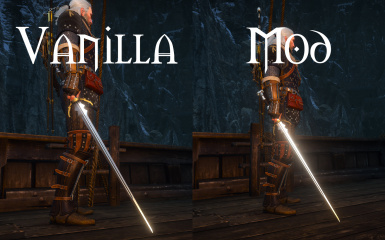 Compatible with all other mods which do not change the model of any silver sword. 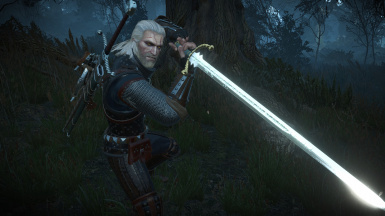 Compatible with any mod adding new silver sword models to the game. However, it will not apply to these swords. Many silver swords also received silver handles. v1.0: Included silver swords of both expansions. Removed broken "Feel the Steel" package. v0.4.1: Hotfix: Oils can now be applied onto any sword. v0.4: Introduced gameplay changing "Feel the Steel" package (optional). v0.3: Included all silver swords. v0.2: Added multiple silver swords. Removed silver glow from handle where possible. Always add a link to this page. Dazzling Django for art consultation. 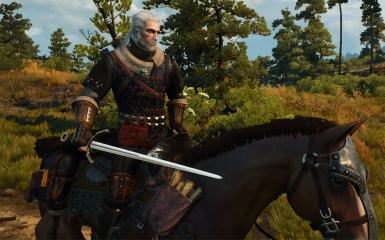 Check out his mod Lore-friendly Witchers! vervurax for his great mod ModKitchen, which really makes using the ModKit a lot easier.